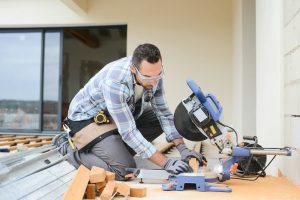 Anytime there is a custom home construction that is in the works, there are many fine details that can make or break the overall process and results. Working with Schleg Valley Construction to give you the new home construction in Seattle that you have been dreaming about will give you the added peace of mind you need. At Schleg Valley Construction, hiring us means hiring a team that can give you the customer service, expertise, and manpower necessary to get the job done right the first time. We will do all that we can to bring you the outlet that you need to realize your dreams of custom home ownership. The chances are very good that you have been looking around to see if there are any worthy homes in your area, or you have been trying to research to see what you need in a contractor to help you build your home. You can rest assured in knowing that we have the right equipment and staff to get the job done, as we are a top contractor in the Seattle area. We understand what it takes to go through with a new home build from start to finish. All you have to do is talk with us about what your vision is and we can take care of the rest of the planning to get the ball rolling. We know how important it is to you to have a good working relationship with a builder that you can trust in. After all, a home is a major investment and you want to do all that you can to ensure you are getting exactly what you are paying for. Whether you have your own ideas in mind or you want to start the build based on one of our current home design plans, you can trust our staff. If you are looking to find a professional, dependable builder for your new home construction in Seattle, you can trust in Schleg Valley Construction. Call us at (425)312-6750!